AIREXE focused on ensuring the increased security of clients’ funds, providing live responsive customer support, high availability and accessibility. AIREXE will strictly follow and comply with government regulations, licensing requirements, taxation and will operate completely legally. Our target is to be most convenient exchange for the beginners and for professional traders by providing both functionalities – professional with all the features available, and simplified, for those who is novice in cryptocurrency and trading. AIREXE: The highest security measures. The most important task for an exchange is to secure its clients’ funds so that under no circumstances it could be lost, or stolen. Many stories tell us about crypto assets that were stolen from exchanges, and the situations like this lead to bankruptcy and closure of the exchanges. This also leads to the loss of clients’ funds and assets, and it all happens due to exchanges’ insufficient measures to ensure the safety of funds. Other type of security issues is related to clients’ authentication processes and currency withdrawal processes. AIREXE: Compliance with the regulators. Let’s be honest – financial regulators and governments will not let cryptocurrency world play games on its own. Governments have to regulate financial markets, including cryptocurrency market. Collaboration with regulators is vitally important. Applying KYC, AML and CTF processes, following regulators’ directives, as well as having roundtables with them is a must. Market regulation is aimed to eradicate scams, frauds and criminal activities. A company can have the latest technology and the most secure software, however, if a company doesn’t comply with the regulators, it’s vulnerable to regulatory risk, and it carries such risk to all of its clients. Many examples of regulatory risks were present in cases (BTCe, BitConnect, MtGox,…), when exchanges were closed or their activities were halted due to the compliance reasons. AIREXE: Responsive 24/7 Customer Service. The vast majority of exchanges are notably lacking of proper customer support service. Issues and problems occur and happen in real life, in real time. It is very important to provide fast response to any customer request and solve their issues in a timely manner. The current customer support service provided by the majority of the exchanges is often very slow and hardly responsive, or even absent. AIREXE: Integration with new blockchains, coins, tokens. Exchanges are made to trade. If some cryptocurrency or tokens are missing on exchange, people will use another exchange to trade. Sometimes customers ask exchanges to add new trading pairs of new famous coins or tokens, but exchanges ignore. It leads to customer dissatisfaction and eventually the loss of business. AIREXE: Fast start and tutorials for newbies traders. We’ve completed our own survey among potential clients, who don’t trade cryptocurrency at this moment, but would like to start doing it. The results show that so called “newbies” are in need of simplified customer interface and walk-through tutorials, which could explain the process of entering the market. Of course, for experienced traders exchanges must provide fully-fledged interfaces and trading functionalities. AIREXE: Transparency of the project ownership. Some of the exchanges have rapidly gain popularity, however, they were setup for completely different purposes, very often illegal. Often, the ownership of the exchanges is not transparent and is hidden through elaborately structured offshore companies, which provide no guarantee or security to the customers. This leads to a high regulatory or even criminal risk to the customers of the exchange, which eventually could lead to the loss of assets or disruption of provided services. We are witnessing that regulators and law enforcement authorities from different countries have put a lot of work and pressure on such enterprises, by arresting alleged owners and closing down the exchanges. AIREXE: Attention to mobile users, a truly device-neutral exchange. century, people rely on their smartphones and tablets more than on their desktop devices. Especially in relation to cryptocurrency, when trading never stops and one has to have an access to the exchange and one’s account 24/7, and often on the go. However, most of the exchanges do not provide this essential feature to their customers. Furthermore, non-professional traders, who are eager to enter a new market, complain about the absence of mobile versions of some exchanges. We believe that customer must have an instant access to its account or exchange with any device that he/she prefers, a truly device neutral exchange. 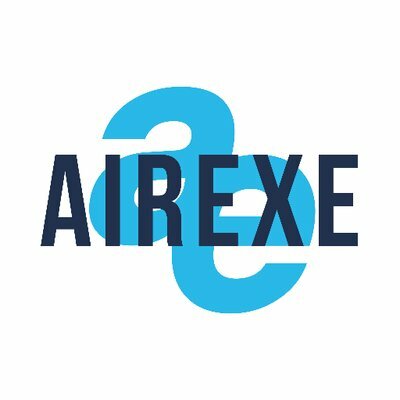 + AIREXE exchange will accept trading fee in AIRX: Paying trading fee in AIRX tokens will be significantly cheaper than in other cryptocurrency. + Purchase time for total 0%-fee trading at AIREXE: Purchase a zero commission period for your needs – one week, one month, three months or more. Save on day trading commissions by purchasing commission free period with AIRX tokens. + Use AIRX to access advanced and Professional functionality: For large or professional traders AIREXE will have advanced Professional functionality. Access to this functionality will be provided for additional fees. The best way is to pay with AIRX tokens for Pro functionality, as it will be much cheaper than paying in any other cryptocurrency. + Payment for listing at AIREXE: Projects – ICOs, ITOs, TGEs, TAOs or cryptocurrency blockchains and forks can pay AIRX for listing of its tokens and coins. Projects paid AIRX for listings will be (a) taken into high priority for listing request processing and (b) assigned personal manager to proceed with listing process and supporting listing afterwards. + Payment to access advanced Projects Rating Agency function: Purchase our research on listed cryptocurrencies or on the project that is conducting cryptocurrency fundraising. The research would be based on the fundamental indicators of the company and combine methodologies from classic rating agencies (Fitch, Moody’s, S&P) and crypto community activities. + Sell AIRX tokens at exchange: Sell and buy AIRX tokens at exchange. Price of AIRX: between 0.008 and 0.01 ETH per 1 AIRX depending on payment amount. 1) Do not send ETH from any of the exchanges (such as Binance, Kucoin, Coinbase, Kraken, Polioniex, Bitfinex, Bitstamp, Bittrex, and any other exchange) or Freewallet. 2) Send ETH only from your own ERC20-compatible wallet that you hold the private key to. 3) We recommend to use Gas = 5 Gwei and Gas Limit = 115,000 (you can check actual Gas price at htps://ethgasstation.info/). How to see AIRX in your Etehreum wallet? If you bought AIRX tokens, but can’t see it in your wallet, then you need to add description of AIRX token manually at your wallet.